Billie has been hunting dinosaurs with her best mate Jack but then she goes and breaks her arm. This isn’t so bad though because she now has the best Show and Tell story ever. There is a problem at the school the next day though, when Billie can’t stick to the truth, she thinks the story will be far more interesting if she adds a crocodile. This little lie has rather big consequences and things don’t end up the way Billie wants. This is a nice little story about an independent young girl who is looking for a way to fit in better at school. 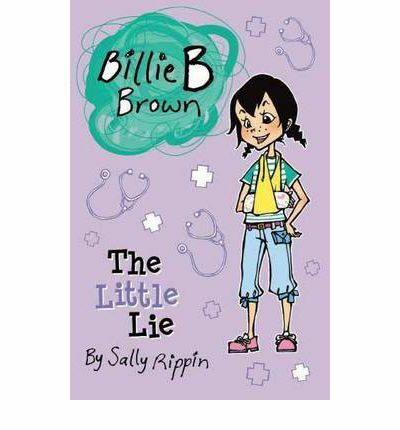 Billie is feisty and fun and in this book learns a lesson about truth and making things up. This series is great for beginning readers just getting into chapter books. The print is large, the text simple and the story fun and easy to read. On top of that Billie is not a particularly girly girl and that makes her worth getting to know, especially for any parent over fairy books.